It’s true. I hit the By Terry counter, and I hit it hard. I have to blame these purchases on Karima and her amazing By Terry Rouge Terrybly retrospective. I made my shopping list from there! 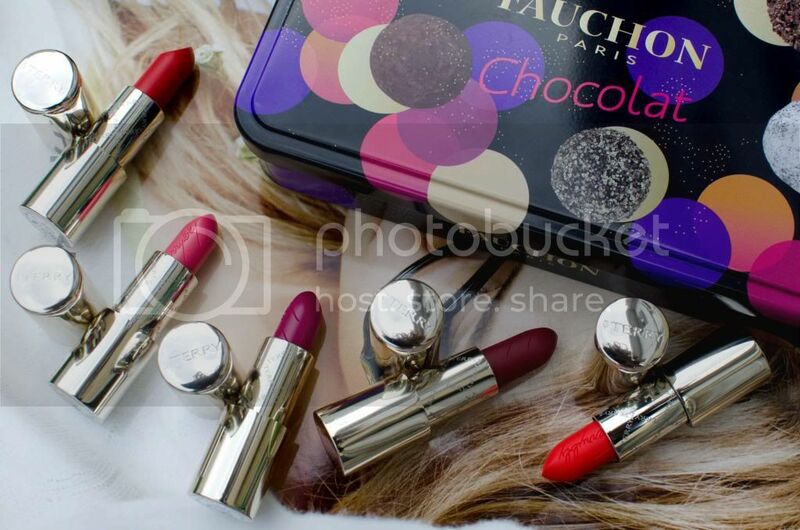 As you can see, I wound up with quite a few of the Rouge Terrybly lipsticks, my favorite lipstick formula. I figured with the tourist discount and détaxe refund, there was never a better time. I wound up with #200 Frenetic Vermillion, an orange red, #300 Cupid Peony, a sort of neon-y pink, #304 Cherry Cherry, a lovely magenta, #400 21VD, a gorgeous orange (yes, another), and #403 Bare Instinct, which seems to defy classification. I became convinced that I need By Terry Densiliss foundation, despite my Cover-Expert. 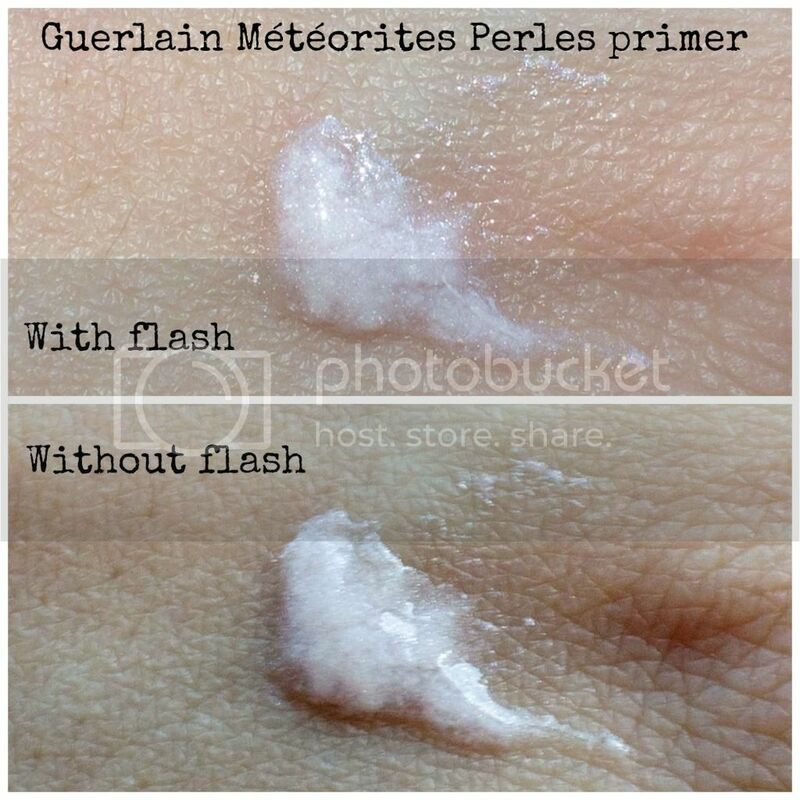 Supposedly, THIS is the one for oily skin. And people have raved. And despite having gotten a sample and not being convinced, I figured maybe one day I would be and this way I got it for cheaper. 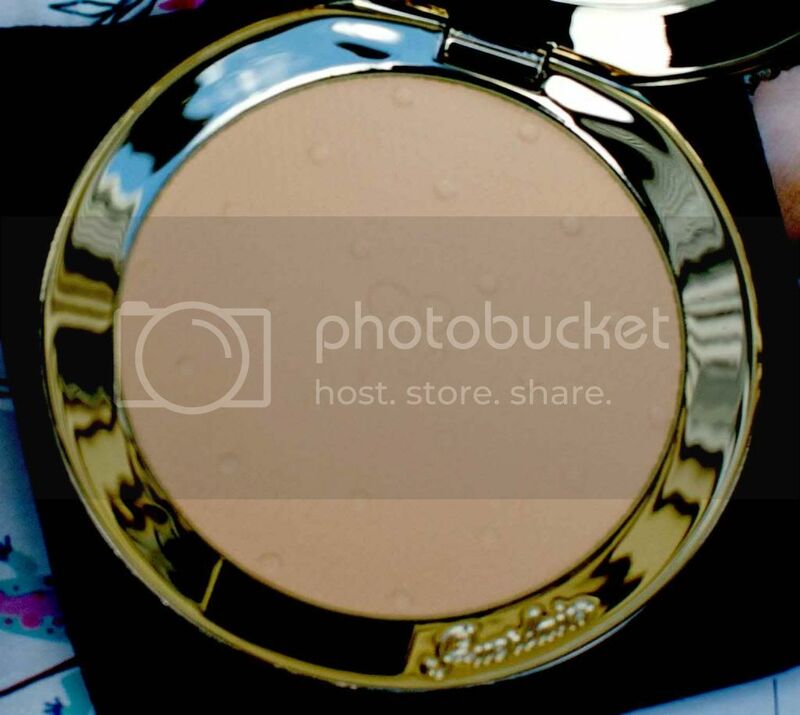 Right now my skin is in flux and oily like anything, so it’s hard to evaluate foundations, but though it may not stay as matte as Cover-Expert, it really gives a lovely glow when I wear it. So not a total waste. Just like with Cover-Expert, I wear shade #3, though I hear it’s not an exact equivalent for all shades, so don’t go by my experience. 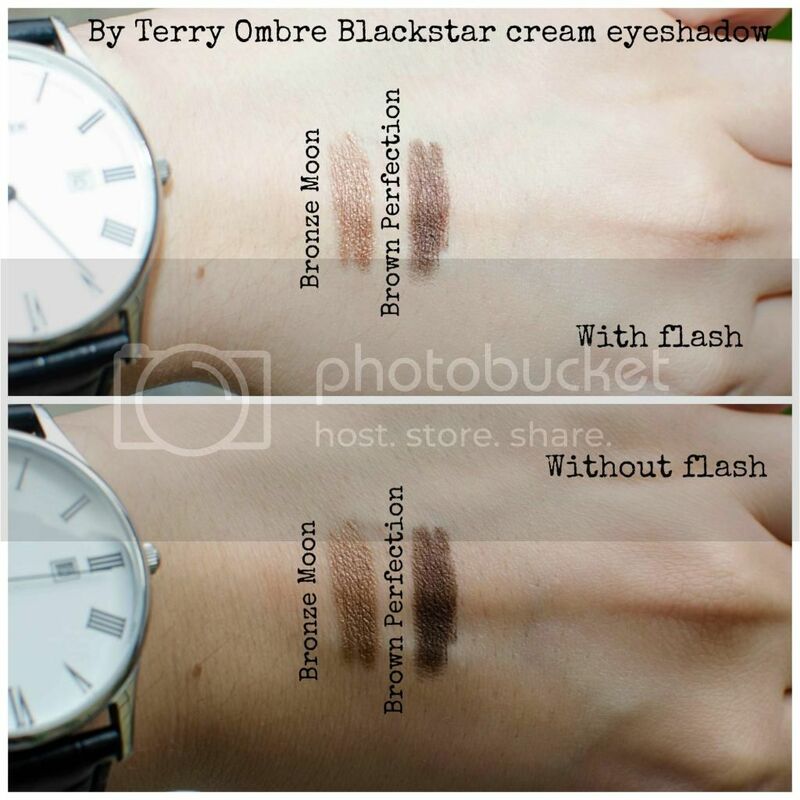 Another Karima-influenced purchase was By Terry Ombre Blackstar cream eyeshadow in #4 Bronze Moon and #13 Brown Perfection. I got them because she used them in her looks. Don’t judge me, okay?! I’ve since seen them mentioned on other blogs, and they’re such pretty colors, and I love my Ombre Mercure, so I know they’ll go to good use. Look at me, branching out into brown eyeshadow!! 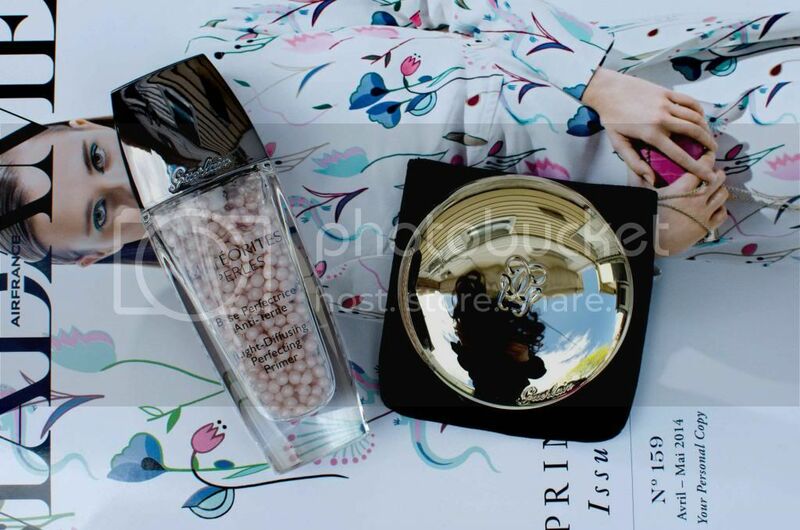 Guerlain packaging is just magical. I wanted you to see the inside and outside. And here’s a (blurry, dammit!) closeup. 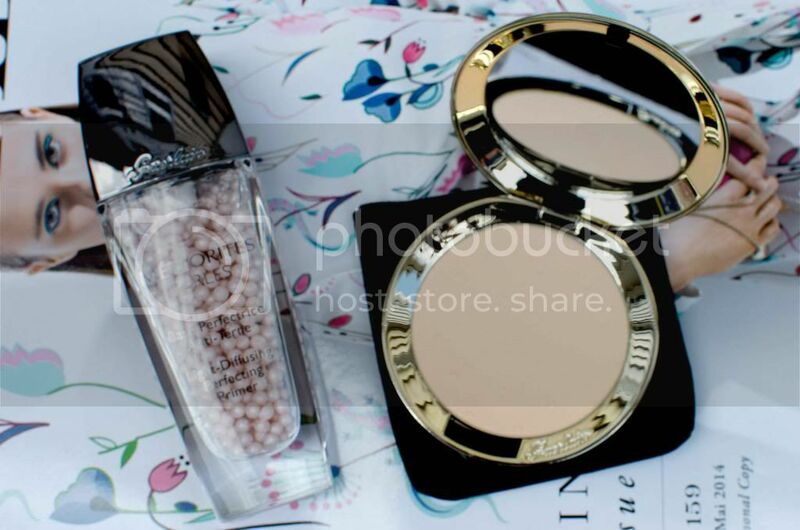 Look at that detail on the powder! And a closeup of what the primer looks like. I’m not sure if the little pearls get ground up when you pump and that’s how all the sparkly shimmers come out, but it sure is purty. 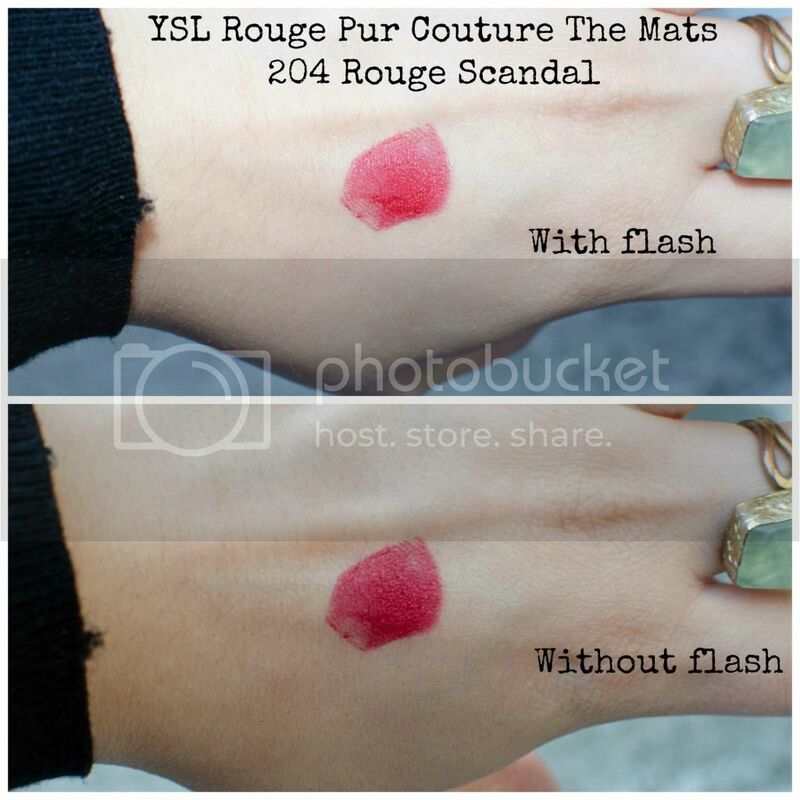 While researching the other YSL Rouge Pur Couture The Mats lipstick I have, #203 Rouge Rock, I came across #204 Rouge Scandal, which seemed like a deeper, darker, older sister. It was a shade not available in the US, so it was a must-buy-no-matter-the-price on my list, and wound up being the only purchase I made at duty free. I don’t know if I got a good price, and I don’t even care! I just realized I haven’t even tried this on my lips yet! What have I been thinking?! My gut tells me that this is more of a nighttime/special occasion red, unless I want to look vaguely goth, so it may not come out to play during the day. But if I can at all pull it off, you know I will! What was your favorite thing that I got? What would you like to try? 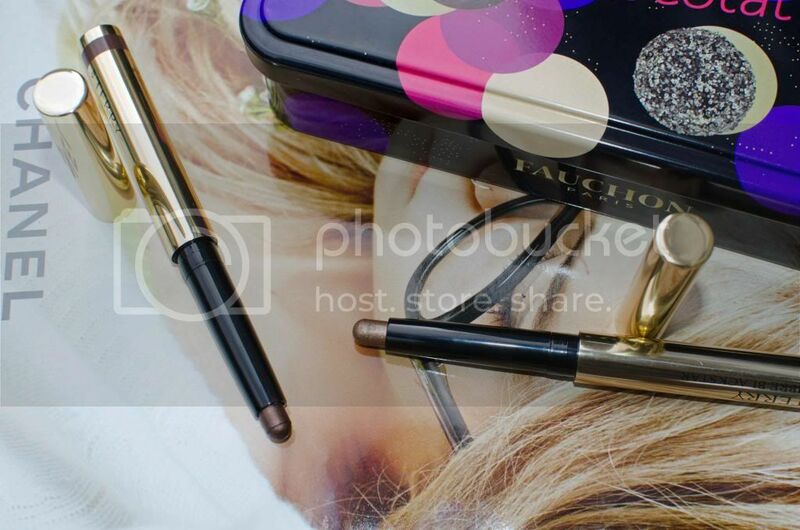 And don’t forget to stay tuned for my giveaway! Amazing haul! 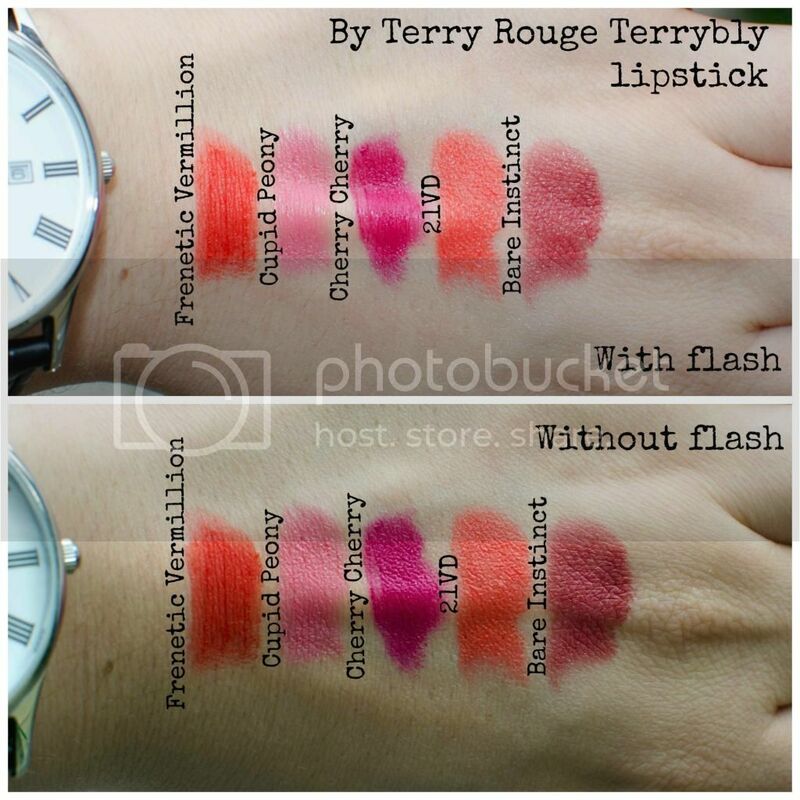 The By Terry lipsticks look so gorgeous. I hope that the whole trip was as great as the makeup shopping! And this was all done in less than 5 hours, including the pharmacy haul. The high-end haul was done in, like, an hour. Phew! They really are gorgeous. They're my preciouses. It was a great trip, thank you!! 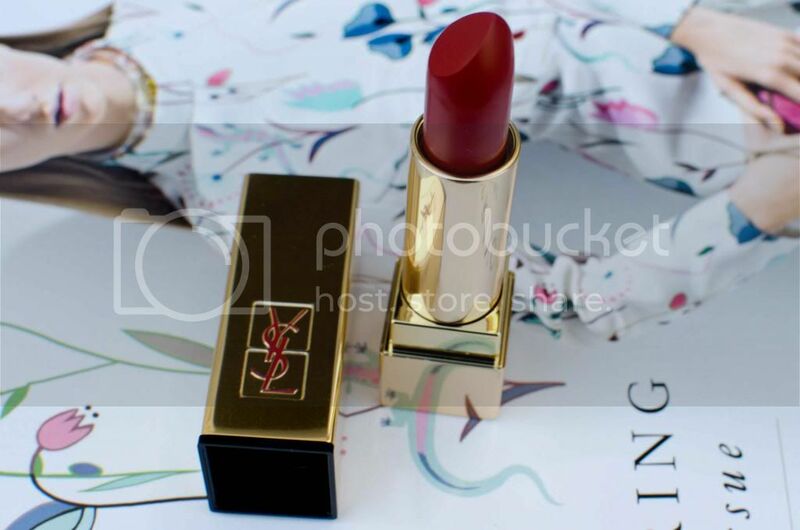 I think you'll totally be able to rock the YSL lipstick in the daytime! !